Large Pro(Large Professor)をゲストMCとして迎えて好評を博し、2010年リリースのEP『Never Stop Sampling』にも収録された「Here We Go」が、ラージ教授本人によるリミックスを加えて初の7インチシングル化! 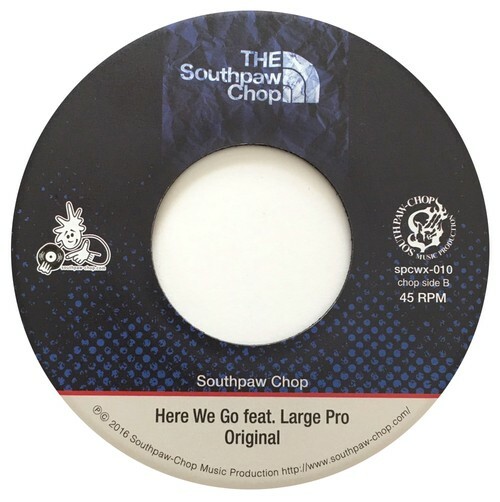 Large Pro and Southpaw Chop team up once again with a follow-up to their first collaboration “Here We Go” on the 2010 "Never Stop Sampling" EP. The new release, due out in Late Summer 2016, features a remix by the man himself, Large Pro. The original version of “Here We Go” appears on the B side, featuring Large Pro’s tight flows over top of a classic production by Southpaw Chop, with big horn swells and a hard hitting break. The A side, showcases Large Pro’s skills on production as well, with the ”Here We Go (Large Pro Remix)”. Large Pro shows a delicate sense of balance with precise sampling of guitar and horns, and a tight beat pulling the remix together. 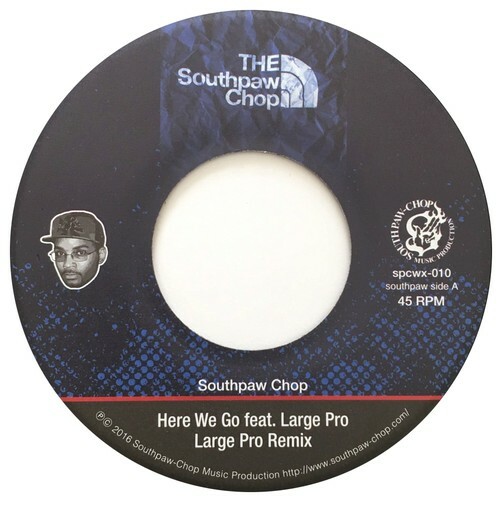 Both songs feature samples of RUN DMC’s "Here We Go”, with cuts and scratches by Southpaw Chop. The digital release will also feature the instrumental version of the remix.